Item # 315638 Stash Points: 16,300 (?) This is the number of points you get in The Zumiez Stash for purchasing this item. Stash points are redeemable for exclusive rewards only available to Zumiez Stash members. To redeem your points check out the rewards catalog on thestash.zumiez.com. 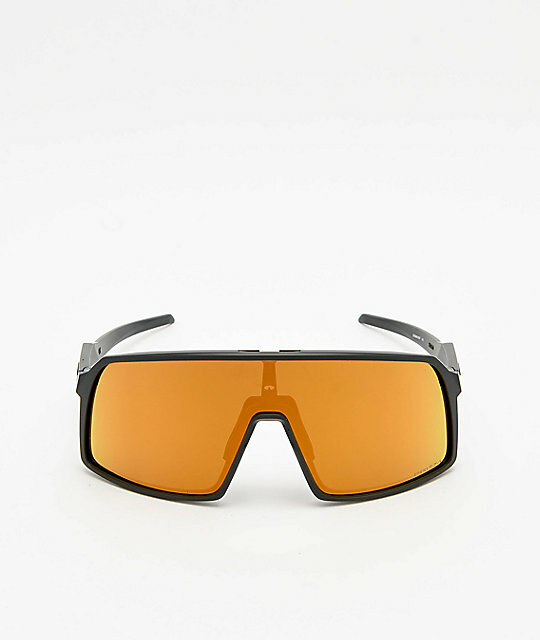 Re-imagining traditional sports-performance eyewear, Oakley presents their signature Sutro Prizm 24k Sunglasses in a sleek matte carbon grey and bronze colorway. Perfect for cyclists and athletes alike, the Sutro features an oversized high-wrap shield design that helps protect your eyes from the elements while enhancing your vision with Prism Lens Technology, perfect for when the weather turns for the worst. 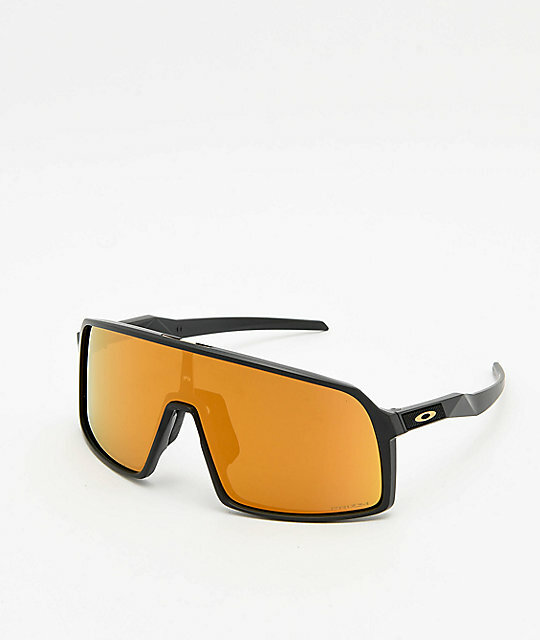 Sutro Matte Carbon Grey and Bronze Prizm 24k Sunglasses from Oakley. Prizm 24k lenses enhance vision and provides UV Protection filtering 100% of all UVA, UVB, UVC and harmful blue light. Unobtainium nosepads for grip and comfort. Comes with microbag and Sport Soft Vault Case.